another killer day on the water! I had the pleasure of fishing with longtime clients and incredible fisherman Charlie and Joanne, and we had fish biting just everywhere. 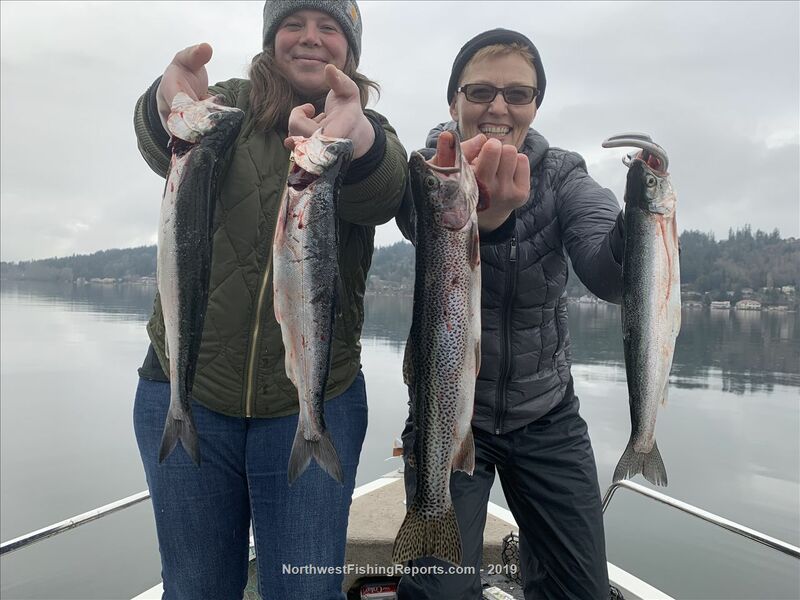 it was another mixed bag of hatchery coho and cutts, with all coho 12-15" and our largest Cutt coming in at 17. we kept 6 coho and 4 cutts total, rounding out 2 limits for the girls, who sent time straight to the smoker for a community get together coming up soon. 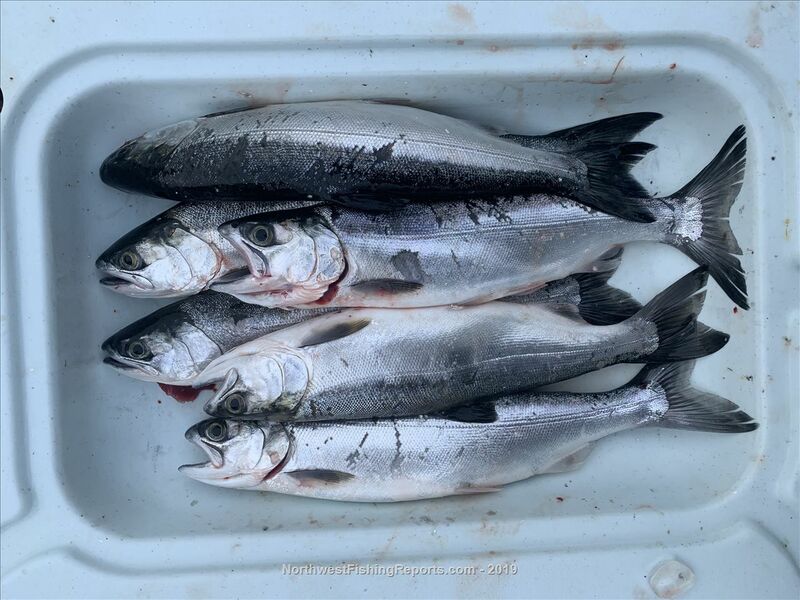 it is great to target the hatchery coho to give the spawning cutts time to create the next generation. overall, it was fantastic fishing with fantastic people! fishing will be hot for a while longer, and some dates are still available! Thanks for the fin clip pic. 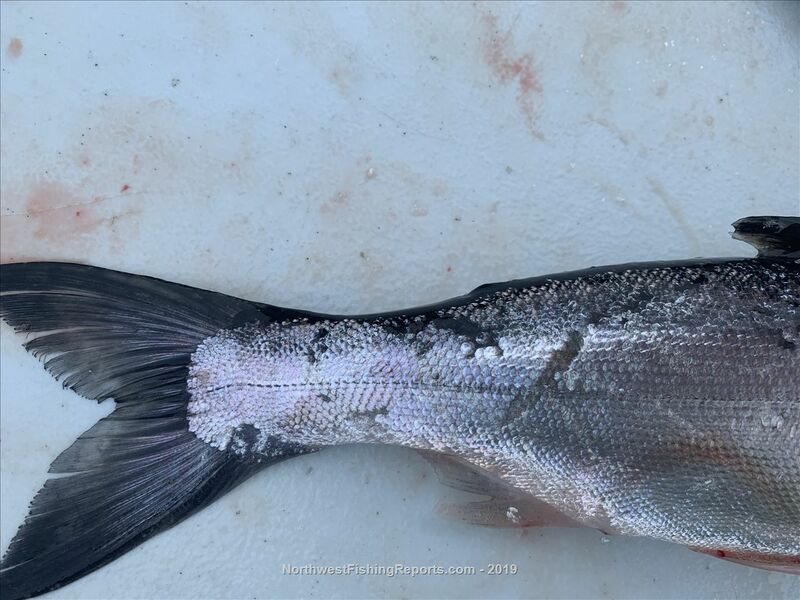 People need to know what to look for if they're keeping fish. Did you get these near the surface? Yesterday almost everything had gone deeper and the bulk of the action was at 25 to 37 ft down. Only a couple near the surface.